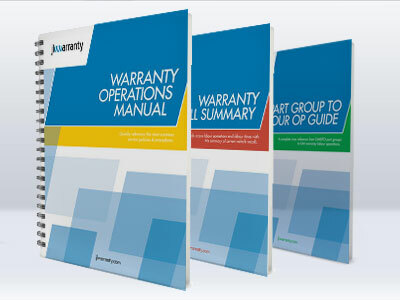 Quickly reference the warranty information you need! 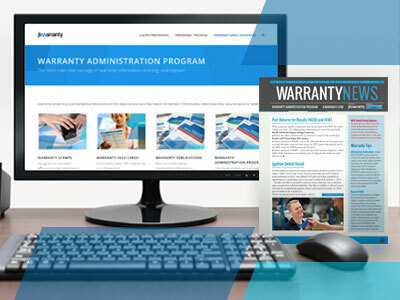 The process of warranty administration often involves referencing several different resources. To make this task more efficient, we have developed a collection of Quick Reference Warranty Help Cards to eliminate searching for certain tidbits of information. These cards feature commonly used warranty information in a format that is to the point, easy to understand, and readily accessible. An explanation of Service Agent Self Authorization Codes. A complete list of applicable authorization codes with their description and considerations for their use. The card outlines each of the covered Cadillac Maintenance services by model with the corresponding labor operation and labor time for reimbursement. A master list of GM's available Global Cause/Complaint Codes with descriptions. Extremely effective in decreasing the time spent on closing out and completing job cards, as well as correcting rejected transactions. GM authorization is necessary for courtesy transportation requests for 4 or more days. Print, complete and attach this worksheet to the job card to support the need for courtesy transportation. The worksheet allows for a reason for the request (parts delay or extensive repairs) as well as an explanation of the daily sequence of events, entered in a timeline format. Service management signature, date, and time complete the worksheet. This chart is a useful reference tool to use when a technician is unable to duplicate or verify a customer's concern and they have time and labor involved. The card lists the repair group, labor operation and applicable labor time for the CCND situation. Accurately understanding your customer's concern with their vehicle is the first step in correcting the concern. This card provides examples of inadequately written concerns followed by a more detailed and comprehensive concern statement. A complete list of labor operations that qualify for diesel engine warranty coverage. These operations are signified by coverage code D in the LTG. Use this checklist as a guideline for warranty transaction compliance. The Labor Operation Add-On Help Card provides details on commonly missed sources of revenue. Check for and claim sealants, oils, fluids, refrigerant, as appropriate or sublet, electronic and leak test labor time allowances, for example. A complete description of the labor time allowances (e.g. base, set up, diagnostic) associated with a labor operation and a detailed list of available transaction types. The material code shown with each paint repair operation must be converted into its corresponding Material Allowance dollar amount using this conversion chart. Lists all current GM passenger cars and trucks with the appropriate PDI base and add times for each model. Utilize the Sublet Compliance Form to ensure all necessary documentation is included with a sublet repair. Complete listing of labor operations that are eligible for a Sublet/Electronic Exchange Program administrative allowance. The vehicle history file must contain all supporting documentation and forms that are associated with the specific service event or job card. The supporting documentation checklist will help you make sure all pertinent information is accounted for. The help card details the Tire Warranty Pro-Rata Adjustment schedule, listing the vehicle mileage and corresponding coverage percentage, as well as the program rules. 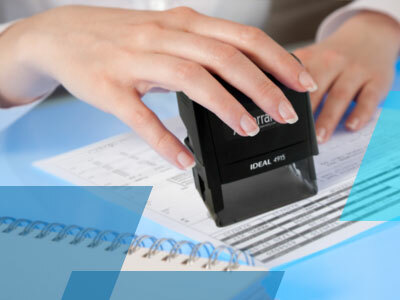 Accurately document transportation damage or discrepancies to ensure reimbursement. A listing of all GM OEM warranty coverage by franchise. There are many instances where there is a specific labor operation for a certain repair, but finding the appropriate document supporting the actual operation and its guidelines can be difficult. This card lists special program operations including detail on their use. The use of wiring labor operation requires the entry of specific, additional data that identifies the location of the repair. The Wiring Labor Operation help card provides the complete list of wiring labor operations and the documentation required for the labor code dependency field. Use the labor operation notes available with each labor operation to help with selecting the best operation for the repair performed. I especially appreciate the laminated reference cards. I keep them under my desktop glass for quick reference. Love the Cause/Complaint Codes cheat sheet. I use it dozens of times a day. It is very obvious that you take great pride in your research that goes into each and every one. Keep up the great work. Your reference cards are great - your wiring repair one is used daily. Thank you so much for the "cheat sheets", they are great for quick references. Have a suggestion for a new Warranty Help Card?